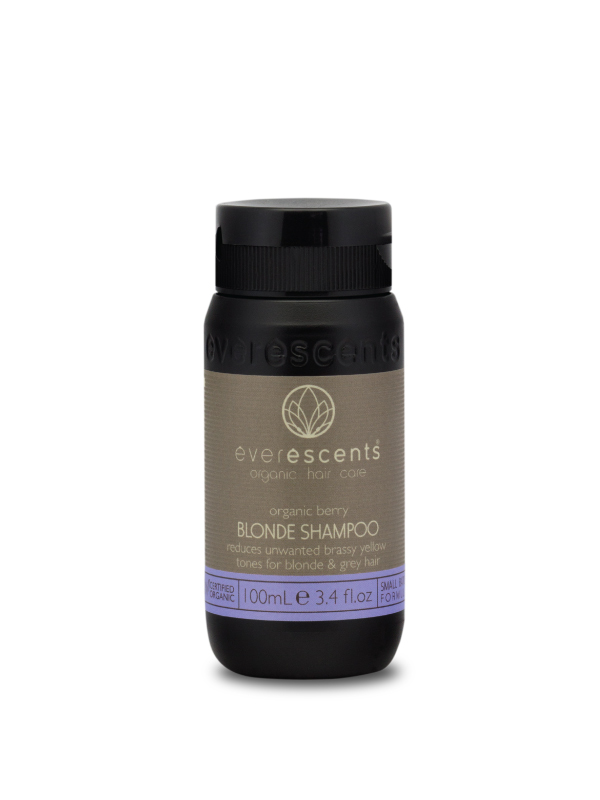 Finally a blonde organic shampoo without all the toxic purple & blue dyes! This luxurious Everescents Berry Blonde organic shampoo tones your hair and reduces unwanted brassy yellow tones for blonde & grey hair, with the added benefits of certified organic ingredients & the natural colours from Red Sweet Potato & Blue Gardenia. 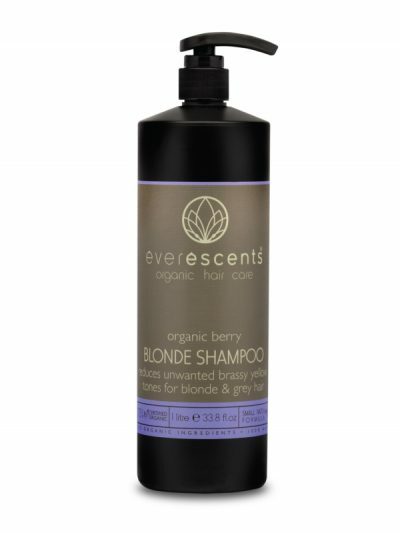 The Everescents Berry Blonde organic shampoo is fortified with Certified Organic Argan Oil, Vitamin E and Provitamin B5 which moisturise & add shine to your hair leaving it truly healthy. This is the safest & mildest formula available for the care of your blonde or grey hair. 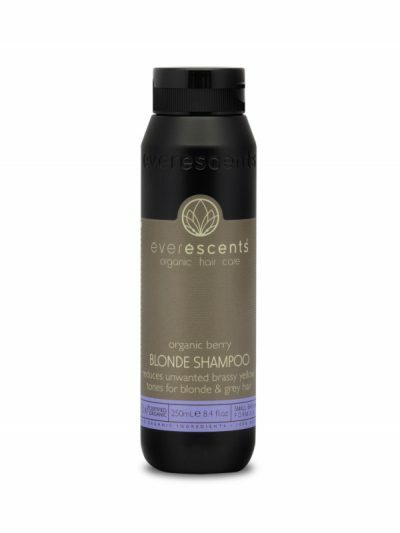 Aqua** (Purified Water), Behentrimonium Methosulfate** (mild detangling agent derived from Canola), Cetyl Alcohol** (plant derived emulsifier), Butylene Glycol** (naturally derived humectant), Sorbitol** (moisturiser), Vegetable Glycerin** (moisturiser), Cetearyl Alcohol** (plant derived thickener), Citric Acid** (natural preservative), Panthenol Vitamin B5** (strengthens against breakage), Tocopherol Acetate Vitamin E** (keeps hair flexible), Argania Spinosa (Argan) Nut Oil*, Rosmarinus Officinalis (Rosemary) Leaf Extract*, Sage Officinalis (Sage) Leaf Extract*, Tilia Cordata (Linden) Flower Extract*, Urtica Dioica (Nettle) Extract*, Betula Alba (Birch) Extract*, Equisetum Arvense (Horsetail) Leaf Extract*, Achillea Millefolium (Yarrow) Extract*, Natural Mixed Berry flavour**, Sodium Levulinate & Sodium Anisate** (natural preservative derived from non-GMO corn and fennel), Glyceryl Caprylate** (Co-emulsifier, naturally derived from glycerin and coco-fatty acids), Sweet Potato Red** (natural blackcurrant colour), Gardenia Blue** (natural blue colour).